Our client had just completed construction on their new home in the Foothills of Boulder and was looking for revegetation and retention along the hill behind the home as well new landscape installations including a driveway, elevated deck and plantings that complimented the mountain environment around them. An exposed aggregate concrete driveway lined with plantings and lights leads the clients down to their garage and front door. Right outside their door is a seating area tucked into the hillside and among the native plantings. 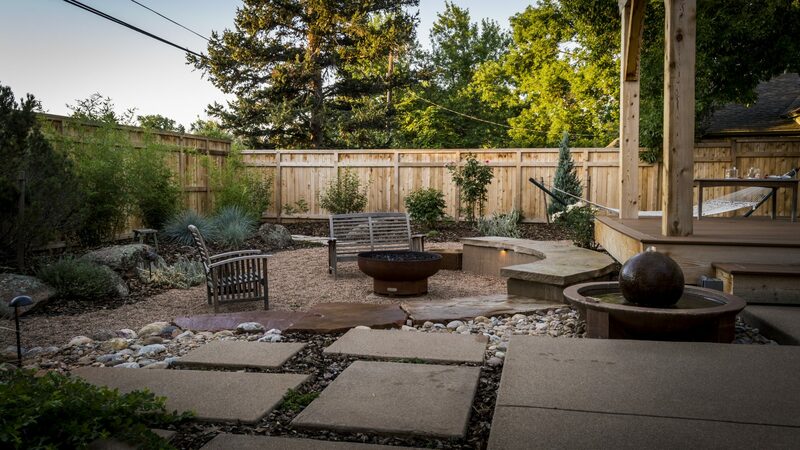 From there, a stepper path wraps around the side of the home and down several natural stone steps to connect to a concrete patio below their new deck that looks out upon the foothills and the city of Boulder below. With our help, the client is now able to enjoy the views from their mountain property as well as find some solitude in their secluded garden along the hillside.